"For example, in July 2015 Levoff received material nonpublic financial data that showed Apple would miss analysts' third quarter estimates for iPhone unit sales. Between July 17 and the public release of Apple's quarterly earnings information on July 21, Levoff sold approximately $10 million dollars of Apple stock — virtually all of his Apple holdings — from his personal brokerage accounts. 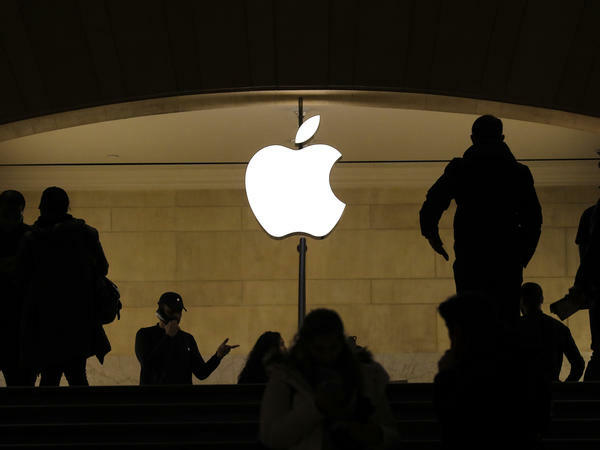 Apple's stock dropped more than four percent when it publicly disclosed its quarterly financial data. By trading on this material nonpublic information, Levoff avoided approximately $345,000 in losses." Apple did not immediately reply to NPR's request for a comment. Levoff made about $245,000 in profit from those trades, according to the complaint. The SEC wants Levoff to pay back the profits gained and losses avoided because of his alleged actions, which the commission says amounts to approximately $382,000. It also seeks a monetary penalty against Levoff and to bar him from serving as an officer or director of a public company in the future.